As with so many things, this blog has been sitting there staring at me for a while now. I had hoped to learn a bit more about Vietnam teas before i posted this review, but that hasn’t happened and i don’t want to ignore it forever. I guess Vietnam teas will just have to remain a shrouded mystery for a while longer. I can immediately tell, even before i take a sip that this tea isn’t like others I’ve had. The loose leaf is twisted like a Black, but it’s Green and it’s mostly gray colored (which would normally mean it’s expired). Yet, the liquor yields an terrific true amber coloration with a wet bamboo aroma. In flavor, too Vietnam Green Organic lives up to its name. 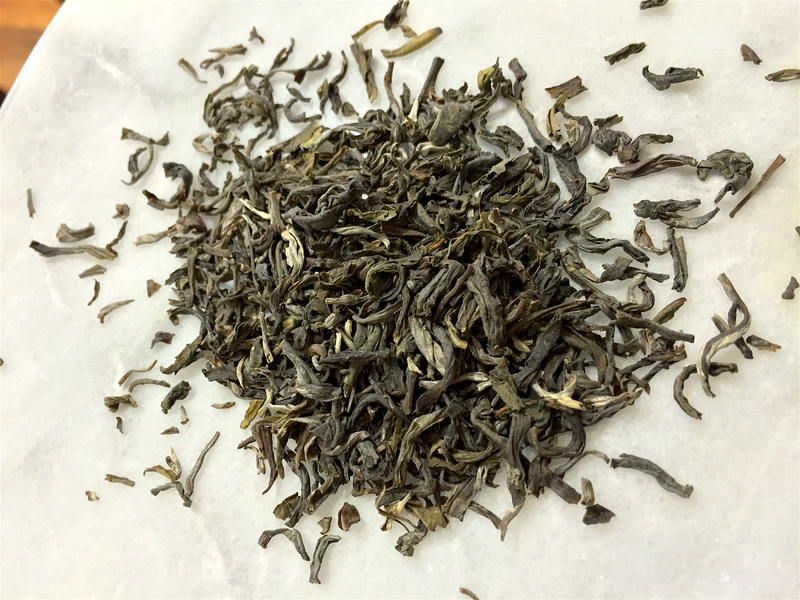 Similar to an Anhui or Fujian Green, Vietnam Green Organic has a full-bodied charcoal steamed Green finish with a slight nutty aftertaste. I can really dig this. ;p The flavor conjures up an image of machete hacking through an impossibly thick rainforest (not that i’ve ever or would ever do such a thing). Vietnam Green Organic makes me really want to explore more Vietnamese teas. Vietnam Green Organic (S&V) ~ loose leaf by Jocilyn Mors is licensed under a Creative Commons Attribution-ShareAlike 4.0 International License. Vietnam Green Organic (S&V) ~ spent by Jocilyn Mors is licensed under a Creative Commons Attribution-ShareAlike 4.0 International License. Vietnam Green Organic (S&V) ~ liquor by Jocilyn Mors is licensed under a Creative Commons Attribution-ShareAlike 4.0 International License.